Tombolas are huge contributors to our fundraising. Each of our stalls will boast at least one tombola and possibly two! With so many events coming up, we are in need of good quality small items to use as prizes. If you have suitable items to donate, we would love to hear from you. Your unwanted gifts will help the cats in our care. Our soft toy tombolas are particularly popular. 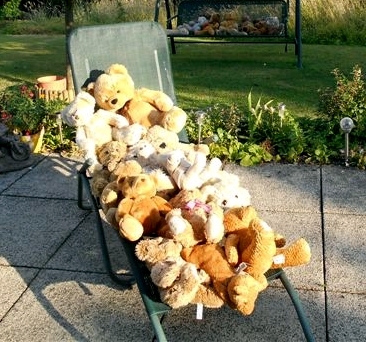 We are always in need of pre-loved soft toys, of any type, in good condition. If you can bear (excuse the pun!) to part with them, please consider donating them to us for our sprecial bag-a-bear or animal tombolas. If you would like to donate gifts and toys we look forward to hearing from you. You will find our contact details here.